Day 1: Uluru Sunset (Meals - L,D) You will be picked up from either Ayers Rock (Uluru) Airport or the Ayers Rock Resort on arrival. First destination is Uluru. Take in the breath taking sight of Uluru the World’s Largest Rock. You then have time to complete an Uluru Base Walk around Uluru. 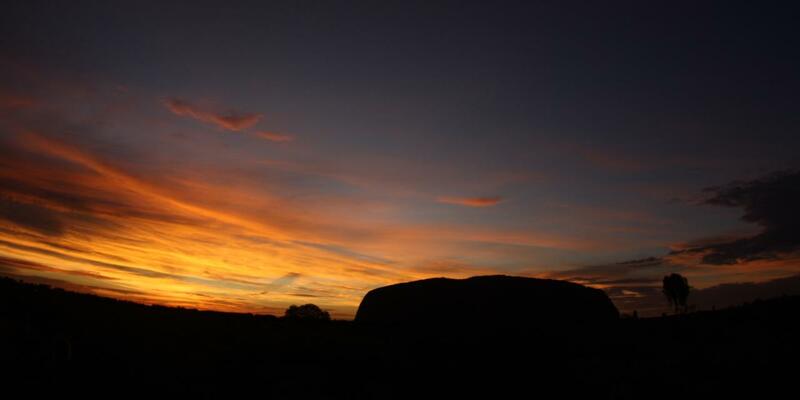 You will see beautiful sites such as the Mala Walk, Mutijulu Waterhole and Aboriginal Cave Paintings.We spend this night at the Ayers Rock Campground with toilets and showers after having dinner watching the sunset over Uluru. Departs from Alice Springs Bus Station - 78 Todd Street next door to The Rock Tour office at 10.30am and arrives into Adelaide the following morning at 7.30am. Terms: If you are flying into Ayers Rock (Uluru) Airport on Day 1, please phone The Rock Tour 1800 246345 on the day before your tour to re-confirm your pick up location and time which will either be 1/ Ayers Rock (Uluru) Airport after 12:30pm or 2/ Ayers Rock Resort after 12:00pm.